Winemaking is one of the oldest and most rarified traditions in history, but you don’t need to own several acres of Tuscan hillside to ferment your own grapes. With precise technologies, winemaking can now be done in the comfort of your own home. For veteran sommeliers, however, the ordinary do-it-yourself kit most likely won’t produce a final product that will satisfy their sophisticated palates. Instead, be sure to purchase the best winemaking equipment possible so the final product tastes like a fine vintage. Before outlining what equipment is necessary, it’s important to understand what each tank, stopper and thermometer will be used for. MoreWinemaking.com explained the various steps that the aspiring vineyard owner must take to end up with a glass of red or white in their hands. Much of the process takes place within a several-gallon tank, called a fermentor​, that holds the raw products – grapes or concentrate as well as yeast and other ingredients – while they react with each other to produce the wine’s distinct flavors. 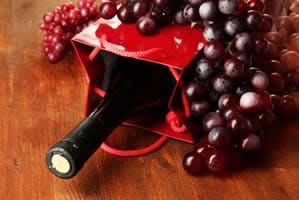 However, there are multiple points in the process that you may need to go inside the fermentor to separate sediment and solid ingredients from the liquid ones, and this is the point where tools of the highest quality may make all the difference in a homemade wine tasting like it came straight from the valleys of France. Midwest Supplies recommended advanced tools such as a hydrometer to ensure the best possible taste for your homemade wine. Much of the winemaking process involves waiting for the sugars from grapes to ferment into alcohol, and a hydrometer will measure the ratio of sugar to alcohol without any complex calculations. Keeping accurate track of how much your wine has fermented will decrease the need for more specific adjustments as the process continues. After you’ve fermented and separated multiple gallons of wine, the last step called racking includes filling individual bottles from the large tank and storing them in a cooler like Designer Appliances’ Under-Counter Wine Cellar. With such a large volume of wine, it can be dangerous to manually fill each small bottle manually, so Love Brewing recommended an automatic siphon to make sure that no wine is lost during the transfer. With enough practice and the best equipment on the market, you may never buy another bottle of wine again – you just might be too busy drinking your own.